I’m someone who gets cold quite quickly and I was a bit worried about the temperature in Iceland. But to my surprise it wasn’t that bad when I was in Iceland in 2014. 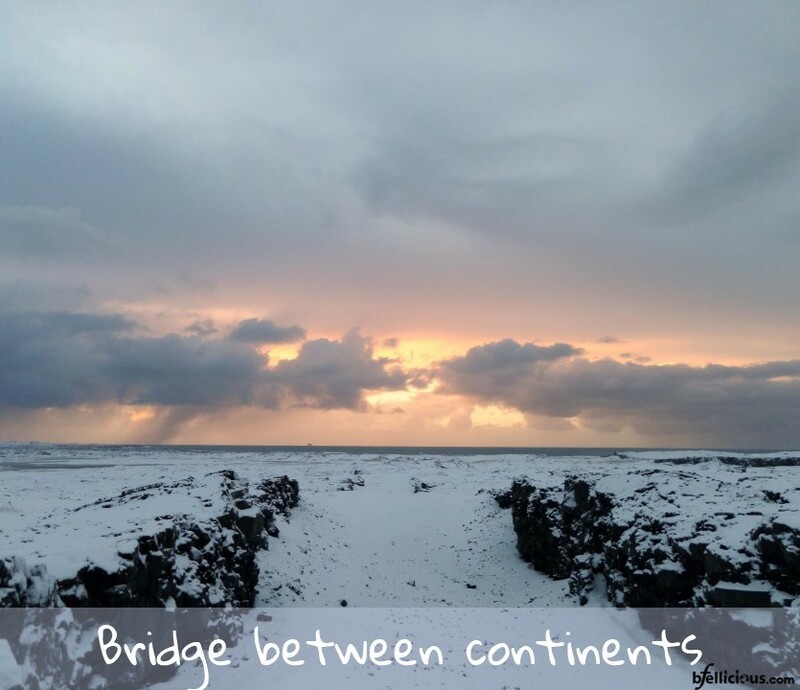 But the ‘Bridge Between Continents’ in the Reykjanes Peninsula was a totally different story. It was super cold, the wind blowing in our faces was quite painful,… but it was definitely worth it. The bridge between continents, also known as ‘Leif the Lucky Bridge’, is a small footbridge built over a major fissure, connecting the Eurasian and North American tectonic plates. So it basically stands for the connection between Europe and North America. It was unreal to set foot in basically two different continents at the same time! Amazing and unforgettable holiday!